Creation show off and ISO trading thread of so awesome! Re: Has anyone made any weapons yet? Holy crap. Man, can't wait 'til we split these into their stand alone files in the next build, then we can do some exchanging! "The longer the description the more help it is"
"Apparently Humans have 5 fingers on one hand, not 4"
God I need to finish the weap missions. BTW,could there be flash light or laser pointers on guns in later verion builds?Kinda want those, could be cool I think. & waiting new version of the game. Our next goal will be getting multiple muzzles in and rate of fire. Then it's on to wheeled vehicles and bombs. Are you going to have different types of muzzles. Because i've just thought there that bullets are a little present time weapons. This takes place in the 23rd century, where we would have Railguns, Lasers, Particle Cannons, Photon canons ect ect. Is there any plan to implement different muzzle types so that we can have future tech? Also, will swords have the same thing, such as lightsabers, energy shields, placeable forcefields. Also bows and Armour, what is planned as in future tech for them?. I can understand bows still being in there, if there are ones that shoot Energy arrows made up of light, and armour that regenerates (Which would require durability on armour). I only ask this because i've just thought that there is a miss-connection somewhere now with the technology levels of what we should have in the 23rd century and what we have in the game now. Arrow turrets for Example. If we are capable as a player in the game to make a Pistol with bullets, would we not be able to create a turret that fires bullets? I have a new Idea of how to fix there turret issue, which would be to add in "Improvement levels". You can start off with a normal Arrow turret for 10Wood Blocks, when placed you get the option to improve it to level 2, using 10 stone blocks. (this would have some appearance update like a stone base and shaft to it), then you can upgrade it again using 20Copper which would make it into a cannon. From Cannon Level you would then get different types of Turrets, Adding 20 Iron and 10 Copper you would have the choice to either make it into a Long Cannon for long range weak shots, or a short range cannon for short range Powerful shots ect ect. 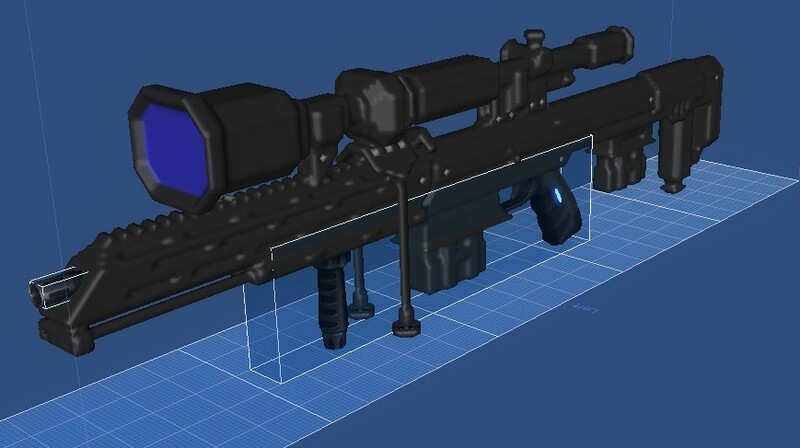 This could continue all the way upto Railgun/ Laser Tech where you would have to add into the turret something like 100 Diamond and 100 Aluminium ect. This would in Theory act as a basic Tech Tree. Also, once you have build the cannon you can bypass the upgrading process and just build the certain turret you want at a price that would be relevant to that level upgrade using ONLY the materials required for the upgrade. So building a Short cannon (As mentioned above) would require 10wood 30copper 20Iron to build up level by level. But if you built it complete all at once it would cost you 40copper 30Iron, since your missing out the lower levels and the different materials required it would slightly increase in price. I'm currently at work so i will have a think about this suggestion, then post a proper thread in the suggestion topic. When i replied i didn't think i was going to go into so much detail. Actually, that's what we had in mind. We might get this up by v0.5, but we're balancing so many things right now that this particular feature might get pushed back a bit. The v0.6 update is looking huge as well...so's v0.7. Dang. We're gonna be super busy for a while. I want use dye for free,everytime i made a weapon,because of the dye is not enough so i can't export and use what i've made. Lookin' great killk! Can I post these on our game's Indiedb page? I think the dye is free in build mode. We'll discuss it and see if we can come up with a cheaper way for people to get dye.